Any order taking carried out on the web site www.imagesdorient.net assumes prior consultation and acceptance of these general terms and conditions. The website www.imagesdorient.net is an e-commerce site, such that the web user admits that he or she is perfectly informed of the fact that his or her manuscript signature of this document is not required for his or her agreement to these general terms and conditions of sale. The web user is invited to save and print these general terms and conditions of sale, which shall be valid for both parties. The web user declares that he or she is of age and has full legal powers to commit himself or herself under these general terms and conditions and to subscribe to contracts under French Law. The purpose of these general terms and conditions is to lay down the rights and obligations of the parties in the context of remote selling of products offered on the sales pages accessible on the web site www.imagesdorient.net from the passing of the order to after sales service and warranties, including payment and delivery. The version of the general terms and conditions of sale applicable to the web user shall be that appearing on the site at the time of validation of the order by the web user. The various versions of the General Terms and Conditions of Sale shall be archived by Eusamex. All General Terms and Conditions of Sale may be amended or deleted at any time. The web site www.imagesdorient.net or access to one or more services on the site such as the online sales pages may, without warning and without giving rise to any indemnity, be definitively or temporarily closed, without the web user being able to claim any compensation whatsoever. The products offered for sale by Eusamex, namely tableware and tabletop accessories shall be those appearing on the www.imagesdorient.net website on the day on which the web user consults the site. The products are offered up to the limit of stocks available. Although the stock is displayed in real time on the www.imagesdorient.net site, a product may occasionally be unavailable (inventory or other error). In these circumstances, Eusamex undertakes to inform the web user by any means suitable to it at the earliest opportunity from the time of the order. On this assumption, Eusamex may, in agreement with the web user, program a new delivery date depending on stock replenishment. If there is no agreement, or if it is impossible to obtain the product ordered, Eusamex will reimburse the sums paid by the web user within a maximum period of 10 days, the latter not being able to claim any indemnity of any kind whatsoever. The greatest care is taken, prior to any order, to provide online information in particular on the essential characteristics of the products for sale, on payment methods and delivery. Nevertheless, small differences in the information provided on the products, such as the product images, with no bearing on their essential characteristics, may be present. Such differences may not under any circumstances whatsoever, commit Eusamex’s contractual responsibility. The online information on the site www.imagesdorient.net shall not under any circumstances whatsoever exonerate the web user from taking note of information attached to the product or on it or its packaging (precautions for use, instructions for cleaning...). The customer undertakes to use the products in accordance with their purpose and to follow the products’ instructions for use. Eusamex may not be held liable for improper use of the products in particular for any use other than that provided for. Prices relating to the product order are displayed in the online sales page dedicated for the purpose. Prices are displayed in Euros exclusive or inclusive of tax depending on the country of the web user. Information on whether tax is included or excluded in the price appears on the product description and is repeated in the order summary. The prices do not include, unless stated to the contrary, delivery charges, which will appear in addition to the price when making the order and prior to the web user confirming the order. On confirmation by e-mail of the web user’s order, the total amount for the order will be displayed (price + delivery charges) in Euros. The prices of the products do not include communication charges linked to the online sales service which shall be borne by the web user. Eusamex reserves the right to amend its prices at any time. Nevertheless, articles shall be invoiced on the basis of the price schedule currently in force at the time the purchaser registers the order. - Stage 1: filling the basket. - Stage 3: consulting the General Terms and Conditions of Sale. - Stage 5: Validation of the order. The web user receives an acknowledgement of receipt of his or her order by e-mail. All orders made by the web user by the stages described above shall constitute an irrevocable acceptance of the general terms and conditions. In compliance with the applicable regulations, the contractual information shall be subject to confirmation when the time comes and at the latest at the time of delivery by e-mail to the e-mail address provided by the web user on the order form. - a reminder of the secure conditions of payment. The web user shall be responsible for safe keeping of the contractual information on a medium of his or her choice. Eusamex reserves the right not to confirm the order in particular in the event of a refusal of authorization to pay, erroneous address or any other problem with the user’s account. In such an event, Eusamex shall inform the web user by e-mail. - checking of availability of the product by Eusamex at the earliest opportunity from the dispatch of the e-mail indicating receipt of the said order to the web user. Once an order is registered it may not be amended. Payment is carried out online by bank card either by Eusamex’s partner bank. The delivery slip for the product will be placed inside the package containing the product ordered. The order shall only be definitive once it has been confirmed by settlement of the price by purchaser. For payments by bank card carried out on its site, Eusamex uses the secure payments service on the server of its partner banks. All information sent from the site www.imagesdorient.net to the payment site is systematically encrypted to ensure confidentiality. All credit card payments made on the site are in immediate charge. In the event of failure to pay not justified by a valid reason, Eusamex shall have the right to claim late payment interest calculated on the basis of the current legal rate plus three points applicable from the due date for payment. In the event of disputed collectability (debt collection agency, solicitor, or bailiff) and following a simple letter, the debts owed by Eusamex to such professionals shall be increased by 40 EUR as a flat rate indemnity for recovery, without prejudice to a claim for charges actually incurred. The product delivered shall remain the property of Eusamex until complete and effective payment of the price by the web user. Failure to pay may lead to the reclaiming of the goods by Eusamex. Transfer of risk of loss or deterioration to the web user shall take place on the date of delivery of the product, in other words, on receipt of the product by the web user. The products ordered by the web user shall be delivered within a maximum period of time of 30 days from confirmation of the order and payment. If the product is unavailable, Eusamex undertakes to inform the web user without delay so that the web user may be reimbursed in good time and within 14 days at the earliest opportunity from the payment of the sums spent. In the event of a predictable delay in delivery, Eusamex undertakes to inform the web user as soon as possible and by any means so that the latter may then choose to maintain or cancel the order totally or partially. Eusamex may not be held liable for the consequences of any events independent of its will, in particular in the event of force majeure or acts of God leading to delay or cancellation of delivery of the product ordered. In the event of failure to respect the period of time mentioned plus 7 days, the web user may cancel his or her order by dispatch of a recorded delivery letter with acknowledgement of receipt to the address of the head office provided at the head of these general terms and conditions. The cancellation shall only be accepted by Eusamex if the dispatch of the delivery has not taken place between dispatch and receipt of the said letter. The web user shall be reimbursed within 14 days at the latest from receipt of the recorded delivery letter by Eusamex. Eusamex reserves the right to choose the goods’ transporter and guarantees the good routing of the products. ATTENTION: if the parcel is returned to the sender for being unclaimed or if the web user has provided a wrong delivery address, Eusamex reserves the right to bill the web user again for the new shipping fees. In this case, if the package is again returned to the sender, it will not be returned to the Internet user and the amount corresponding to this order, including any additional delivery costs, will be retained by Eusamex. Eusamex guarantees the conformance of the product delivered with the essential characteristics as described on the site www.imagesdorient.net usage in accordance with its purpose. The web user shall check the state of the packaging and the conformity of the product delivered and if need be shall note any reservation on the transporter’s delivery slip. The choice of transporter belongs to Eusamex. Delivery charges are stated prior to order confirmation. Eusamex is not responsible for destination country tax and/or duty charge that may incur. Customers will be held accountable for any restrictions, duties, taxes, and any other fees collected from the destination country, prior to ordering. Eusamex will not be responsible for any Duties, Taxes, or Customs fees under any circumstances. -No attempt is made in the country of destination to deliver the package. Eusamex reserves the right to abandon the package(s) and will not be responsible for any refund. However that may be, Eusamex may not be held liable for improper use of the product by the web user, for normal wear and tear of the product, or for failure to maintain it. Most of our products are handmade, and as such certain variances in color and size may occur and cannot be considered as irregularities. However, in the event of nonconformity of the product delivered, the web user must inform Eusamex Customer Service by e-mail clearly describing the nonconformity noticed. Eusamex undertakes, in the light of the application made by the web user, to exchange or reimburse the product to the web user, subject to it being returned in its original packaging. In the event of a manifest difference in the cost of the 2 options, Eusamex will opt for the less expensive solution. When an item is returned on grounds of a defect, Eusamex shall reimburse the costs of carriage on presentation of the relevant proofs and at all events according to the tariffs currently in force. Reimbursement shall be made prorata depending on the price of the product in relation to the complete order. Subject to the consent of the web user, Eusamex may suggest a credit note instead of exchange or reimbursement. The stipulations laid down in this Article do not affect your rights to withdrawal as provided for in Article 10. In application of Article L.121-20 and following of the Consumer Code, the web user enjoys a period of fourteen days from the receipt date of the order to exercise their right to withdrawal. If the web user uses this right of withdrawal, return of the product must be made in the original packaging, in a reasonable condition, in other words, without excessive handling (no significant deterioration of the packaging) by at the most fourteen days following communication of his or her decision to withdraw and accompanied by all the information and an indication of the invoice relating to the products. A product which has deteriorated due to excessive handling (in particular, damaged, damaged and incomplete return, absence of labelling, etc.) will not be accepted. Costs of return shall be borne by Purchaser. In the event of an exercise of the right to withdraw, in accordance with the withdrawal application attached in Schedule 1, the web user may request the reimbursement of the order, not including the costs of dispatch and return incurred. In the event of exchange, the web user is invited to re-order directly on the site and return the original item in order for Eusamex to proceed to the refund, processing times being faster and new shipping fees at the web user charge in both cases. Since then, Eusamex will reimburse the web user within a maximum period of time of 14 days from the effective return of the product, directly on the payment mean used. All product returns must be requested by e-mail to our customer service department at info@eusamex.com as detailed at the head of these general terms and conditions. Information requested via forms are necessary for processing the order and will be communicated to service provider(s) in charge of carrying out the order and in particular the transporter and/or any other competent authority for ruling on any litigation between Eusamex and a web user. Such information may also be used for knowing more about the web user so that Eusamex can adapt its range to the needs of the web user. In accordance with the law on Data Processing and Liberties N° 78-17 dated 6 January 1978 on data processing and privacy, the processing of personal information relating to customers has been declared to the Commission Nationale de l'Informatique et des Libertés (CNIL) (The National Commission on Information Technology and Liberties) under N° 1859494 v 0. The web user has the right to access, modify, correct or delete his or her personal data. To exercise this right, the web user shall send an e-mail to the Eusamex customer service department at the postal or e-mail address given at the head of these general terms and conditions. 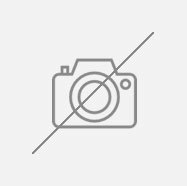 Items belonging to Eusamex such as the web site, the trade name, games, drawings, models, texts, sound and video clips are the exclusive property of Eusamex, the above list not being considered as exhaustive. These general terms and conditions do not include any transfer to the benefit of the web user of any type of intellectual property rights over the site or its content belonging to Eusamex. Eusamex grants you right of access to the site on a personal, nonexclusive and non-transferrable basis for usage which complies with the terms and conditions as laid down in these terms and conditions. Any other use shall be deemed as infringement and will be subject to penal sanctions under the title of Intellectual Property. The web user undertakes not to impair whether directly or indirectly the property rights of Eusamex and undertakes not to exploit in any manner whatsoever the names, trade names and logos. The web user undertakes to respect all Eusamex’s rights and undertakes not to exploit any similarity in the public mind for any reason whatsoever. Hypertext links or similar to the home page of this site www.imagesdorient.net or any other page must be systematically applied for and must be withdrawn on simple application by Eusamex. Eusamex may not be held liable for any failure in the performance of its obligations due to an act of God and/or to cases of force majeure under the meaning generally accepted by the law and courts of the French Republic or for any causes escaping its control. Howsoever that may be the liability of Eusamex shall be limited to the price of the product sold unless in the event of an imperative legal provision to the contrary. Moreover, Eusamex may not be held liable to the degree allowed by current regulations for direct loss including immaterial or indirect damage which may result from accessing the site or from inappropriate usage of the products under the meaning of the “product usage” clause and in particular when the products contain restrictions on usage. Hypertext links placed on www.imagesdorient.net may lead to other sites whose content shall remain the sole responsibility of the operators and owners of those sites. In an express manner, the following acts of God besides those usually upheld by the French Courts are considered as cases of force majeure. The execution by Eusamex of all or part of its obligations shall be suspended in the event of the occurrence of an act of God or force majeure which prevents or delays such execution. Eusamex will inform the customer of such an act of God or force majeure within fourteen days of its occurrence. If such a suspension lasts beyond a period of time of fifteen days, the Customer shall then be able to cancel the current order and will be reimbursed under the terms explained above. If one or more of the clauses of this agreement are rendered null and void by a change in legislation, regulations or by a court decision that shall under no account affect the validity and respect for the remainder of these general terms and conditions of sale. These terms and conditions shall apply for the entire duration of the period during which the services offered by Eusamex remain on line. The processed registers, maintained on the Eusamex servers or on those of its hosts shall be considered, unless in the event of proof to the contrary, as proof of communications orders and payments occurring between the parties. These terms and conditions shall be subject to French law, both in substantive and formal respects. Under no account will Eusamex provide any guarantee of conformity with local legislation which would be applicable when a web user accesses the site from another country. In the event of an objection, unless in the event of a friendly agreement, the litigation shall be under the exclusive jurisdiction of the French courts of justice for litigation opposing Eusamex to a non-trader and to the Paris Commercial Court for litigation with a trader. In application of Article L.121-20 and following of the Consumer Code, the non trade web user enjoys a period of fourteen days from the receipt date of the order to exercise their right to withdrawal. I the undersigned, Mr., Mrs., Miss [to be detailed] inform you of my right to withdraw from order N° .... made on your website. Under that head, I would like you to reimburse the sums paid for that order, except the shipping costs and return costs incurred, within a maximum period of time of 14 days from the effective return of the product ordered. Moreover, I undertake to return the product to you at my own cost within a maximum of 14 days from the date of exercising my right of withdrawal respecting the provisions of Article 10 of the GTCS namely a product which has not suffered depreciation. The seller is bound to deliver a product in conformity with the agreement and will respond to conformance defects on delivery. It shall also be responsible for any lack of conformity resulting from the packaging, instructions for assembly or installation when the latter is its responsibility in the agreement or has been carried out under its responsibility. 2° Or must display the characteristics as laid down by mutual consent by the parties or must be suitable for any specific use sought by purchaser which has been brought to the notice of seller and which the latter has accepted. Any [legal] action resulting from a lack of conformity must be initiated within two years from delivery of the good. The seller is bound to provide warranty for hidden or latent defects rendering the item sold unsuitable for the use for which it is intended or which diminishes use to such a degree that the purchaser would not have acquired it or would only have been prepared to pay a lower price had he or she known. Any action resulting from latent defect(s) must be initiated by purchaser within a period of two years from discovery of the defect. The right to information is covered by Article 32 of the statute dated 6 January 1978 as amended by the statute dated 6 August 2004. The right to information is covered by Article 38 of the statute dated 6 January 1978 as amended by the statute dated 6 August 2004 and gives you the right to object for legitimate reasons to your appearance in a file. Any person may refuse, without having to provide any reason, to allow his or her details to be used for purposes of prospecting, in particular sales prospecting. The right to access to information is covered by Articles 39, 41, 42 of the statute dated 6 January 1978 as amended by the statute dated 6 August 2004 any person providing details of his or her identity has the right to question Eusamex for a file or for processing whether the company holds information on him or her, and, if need be, to see such information. You have a right to correction covered by Article 40 of the statute dated 6 January 1978 as amended by the statute dated 6 August 2004, which enables you to correct, complete and bring up to date, lock or remove information on you if errors or inexact information is found, or if data are found whose collection, use, communication or archiving is forbidden. 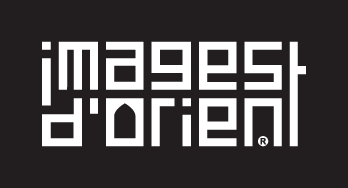 These general terms and conditions of use shall apply to your first visit to the www.imagesdorient.net referred to hereinafter as the web site and shall apply during the entire duration of use of the said web site. These terms and conditions of use shall be subject to amendment on the sole initiative of the publications director. The purpose of the web site is to display and sell on line tableware and accessories. The information contained on the web site is addressed to visitors, whether they are consumers and/or trade. The information is provided as it stands. There is no guarantee that there are no errors or omissions, or that the contents of the site are up to date. These terms and conditions of use are for the purpose of laying down the rights and obligations of visitors as they are navigating this web site. The information appearing on the site has been drawn up in accordance with French law current at the time the information has been made available on the site. Any access from any country other than France is made at the risks and perils of the visitor, given the law applicable to the visitor. It shall be expressly understood that in any conflict of laws French law shall apply completely and without reservation. Cookies: small files navigation for browser software resulting in an identifier number whose sole purpose is to enable or facilitate electronic communication. Personal data: personal data on the visitor (e-mail address, etc.) collected in particular via a form on the web site. Property rights: protected rights within the framework of intellectual property including literary and artistic property rights (images, texts, sounds, drawings) and industrial property rights (patents, drawings and models, logos). Visitor(s): any natural person or legal entity visiting the web site who has accepted these general terms and conditions without reservation. Web users can normally access the website 24/24 7/7 without this being an obligation upon the publication manager who may interrupt access to the site temporarily or definitively. No indemnity shall be granted by the publication manager in response to temporary or definitive unavailability of the site. The site and its content are subject to legal protection under literary and artistic property (copyright) and of industrial property (trade names, drawings, logos). These general terms and conditions do not include any transfer to the benefit of the visitor of any type of intellectual property rights to the site or its content. All reproduction, whether in whole or in part, by any procedure whatsoever, carried out in the absence of prior written consent from the publication manager, is unlawful and shall constitute forgery liable to give rise to penal sanctions amongst others. Hypertext links to the home page of this site www.imagesdorient.net or any other page must be systematically applied for and must be withdrawn on simple request by Eusamex. when the user contacts customer service. Data collected are for the use of Eusamex in enabling management of the business and contractual relationship with the user and for informing him or her if need be of any offers and updates. The web user may receive, if he or she has expressly so agreed, electronic prospecting from Eusamex and its partners. The web user may opt out at any time using the link for de-subscription contained in the aforementioned electronic prospecting. In compliance with the law on data processing and privacy dated 6 January 1978 as amended by the statute dated 6 August 2004 the web user has the right to access, object to and rectify any personal data concerning him as described in the section entitled “Personal Data Protection”. A cookie is a small text file which a Web Server can keep on the hard disk of a computer for storing information on the web user. The cookie identifies your computer uniquely and can only be read by the web site which has sent it to the computer. A cookie is not an executable file or a program and cannot therefore propagate itself. The purpose of using cookies is to recognize users and to provide a better more personalized service. In order to do this, we identify the origin of the web user, his or her preferences (country, opening session, characteristics of browser, user information) and gather information on the use of our Web Site. The aim of using cookies is to obtain statistical information on the use made of our Web Site. We also draw your attention to the fact that when you decline installation or use of a cookie, a refusal cookie is installed on your terminal equipment. If you delete this refusal cookie, it will no longer be possible to identify you as having refused to accept cookies. Equally, if you consent to installation of cookies, a consent cookie is installed. Consent or refusal cookies must remain on your terminal equipment. Internet Explorer: on the « Tools > Internet Options » menu, click on the « Confidentiality » tab, select the desired setting and click on advanced parameters. Select “Ignore automatic cookie management”. Click «Activate» or «Block». We recommend accepting the “Always accept session cookies” so as to allow optimal navigation on our Web Site. Firefox: on the « Tools > Options » click on the « Confidentiality » tab. Activate or deactivate «Accept web cookies» or «Tell websites not to track me», depending on your browser version. You can also eliminate installed cookies by clicking on the « delete cookies one by one » option. Chrome: on the « Tools > Parameters » click on the « Confidentiality > Content parameters » tab. After having selected the « display advanced parameters » click on your preferred cookie settings. If you wish to block installation, you can select the «block data from sites and third party cookies». Opera: on the «Settings>Preferences» menu, click on the «Advanced» tab. On the «cookies» menu, select the «Accept traces» or «Never accept cookies» option. If you want a more exhaustive level of control over the cookies which install themselves on your computer, we recommend selecting the «Ask me before accepting cookies» option. Safari: on the «Tools>Preferences» menu, click on the «Security» tab. On the «Accept cookies» menu, select «Always» or «Never». If you have an iPhone you should go to «Parameters> Safari» and choose whether or not to accept cookies. If you use another browser you can obtain information on settings for installation of cookies via the Help or assistance section of the browser in question. When you connect to our site www.imagesdorient.net we may, subject to your choices, install a number of cookies on your terminal enabling recognition of your terminal’s browser during the validity period of the cookie concerned. The Cookies we issue are used for the purposes described below, subject to your selections, resulting from the parameters on your web software, used on your visit to our site. To apply security measures, for example when you are asked to reconnect to content or a service after a certain period of time. Publicity material (graphics, animations, videos, etc.) broadcast on our publicity spaces are liable to contain cookies issued by third parties: either the advertiser at the origin of the publicity material concerned, or a third party to the advertiser (communications agency, audience analysis company, targeted publicity provider), which has associated a cookie to the publicity material of an advertiser. If applicable, to adapt these third party sites and services or the advertisements they broadcast to the terminal’s browser of which they are aware. Toute prise de commande effectuée sur le site web www.imagesdorient.net suppose la consultation et l’acceptation préalables des présentes conditions générales. Le site www.imagesdorient.net étant un espace de commerce électronique, l’Internaute reconnaît être parfaitement informé du fait que son accord concernant le contenu des présentes conditions générales de vente ne nécessite pas la signature manuscrite de ce document. Les présentes conditions générales ont pour objet de définir les droits et obligations des parties dans le cadre de la vente à distance des produits proposés sur l’espace de vente en ligne accessible au sein du site web www.imagesdorient.net depuis la passation de la commande aux services après-vente et garanties, en passant par le paiement et la livraison. Les différentes versions des conditions générales de vente sont archivées par EUSAMEX. Le site web www.imagesdorient.net ou l’accès à un ou plusieurs services au sein du site tel que l’espace de vente en ligne pourront, sans préavis ni indemnité, être fermés temporairement ou définitivement et ce, sans qu’un Internaute puisse prétendre à une quelconque indemnité. Les produits proposés à la vente par EUSAMEX, à savoir des accessoires de table et de maison, sont ceux figurant sur le site www.imagesdorient.net au jour de la consultation du site par l’internaute. Les produits sont proposés dans la limite des stocks disponibles. Bien que la tenue du stock soit affichée en temps réel sur le site www.imagesdorient.net, il se peut qu’un produit fasse défaut (erreur d’inventaire ou autre). Dans ces conditions, EUSAMEX s’engage à en informer l’Internaute par tout moyen à sa convenance dans les meilleurs délais à compter de la commande. Dans cette hypothèse, EUSAMEX pourra, en accord avec l’Internaute, programmer une nouvelle date de livraison en fonction de son réassort. A défaut d’accord ou de l’impossibilité de disposer du produit commandé, EUSAMEX procédera au remboursement des sommes versées par l’Internaute dans un délai maximum de 10 jours, sans que ce dernier puisse prétendre à une quelconque indemnité. Le plus grand soin est apporté à la mise en ligne, préalablement à la passation de la commande, d’informations relatives notamment aux caractéristiques essentielles des produits mis en vente, aux modalités de paiement et de livraison. Toutefois, des variations minimes dans la représentation du produit, telles que les photos produits, et ne portant pas sur les caractéristiques essentielles peuvent être présentes. Ces variations ne sauraient en aucun cas engager la responsabilité contractuelle de EUSAMEX. Les informations mises en ligne sur le site www.imagesdorient.net n’exonèrent en aucun cas l’Internaute à prendre connaissance de toute autre information jointe au produit ou portée sur le produit ou son emballage (précautions d'emploi, conditions de nettoyage …). EUSAMEX ne saurait être tenue pour responsable du mauvais usage des produits notamment l’utilisation pour un usage autre que celui prévu. Les prix sont affichés en euros et en prix HT ou TTC en fonction des pays de provenance des Internautes, et s’affiche lors du récapitulatif de commande. Ces prix ne tiennent pas compte, sauf mentions contraires, des frais d’expédition, qui seront indiqués en sus du prix lors de l’étape de passation de commande et avant que l’Internaute ne confirme sa commande. Lors de la confirmation par e-mail de la commande de l’Internaute, il sera indiqué le montant total de la commande (prix + frais d’expéditions) en euros. Les prix des produits ne comprennent pas les frais de communication liés à l’utilisation du service de vente en ligne, qui restent à la charge de l’Internaute. EUSAMEX se réserve le droit de modifier ses prix à tout moment. Toutefois, les produits seront facturés sur la base des tarifs en vigueur au moment de l’enregistrement de la commande. EUSAMEX se réserve le droit de ne pas confirmer la commande notamment en cas de refus d'autorisation de paiement, adresse erronée ou tout autre problème sur le compte de l’utilisateur. Dans ce cas, EUSAMEX en informera l’Internaute par courrier électronique. - vérification de la disponibilité du produit par EUSAMEX dans les meilleurs délais à compter de l’envoi du mail accusant réception de ladite commande à l’Internaute. Toute commande enregistrée ne peut être modifiée. Le paiement est effectué en ligne par carte bancaire via la banque partenaire de EUSAMEX. Le bon de livraison du produit sera inséré dans le colis contenant le produit commandé. Pour les paiements en carte bancaire effectués sur son site, EUSAMEX utilise le service de paiement sécurisé du serveur de ses banques partenaires. Toutes les informations transmises depuis le site www.imagesdorient.net vers le système de paiement sont systématiquement cryptées pour en assurer leur confidentialité. Tous les paiements en carte bancaire effectués sur le site sont en débit immédiat. Dans le cas d’un défaut de paiement du prix non justifié par un motif légitime, EUSAMEX est en droit de vous réclamer des intérêts de retard calculés sur la base du taux légal en vigueur majoré de trois points applicables à compter de la date d’exigibilité du paiement. En cas de recouvrement contentieux (cabinet de recouvrement, avocat ou huissier) et après un courrier simple, les créances de EUSAMEX à l’égard des professionnels seront majorées de 40 euros à titre d’indemnité forfaitaire de recouvrement et ce, sans préjudice d’une réclamation de ces frais au réel. Le produit livré demeure la propriété de EUSAMEX jusqu'au paiement complet et effectif du prix par l’Internaute. Le défaut de paiement pourra entraîner la revendication du produit par EUSAMEX. Le transfert des risques de perte ou de détérioration à l’Internaute s’opère à la date de délivrance du produit c'est-à-dire la réception du produit par l’Internaute. Les produits commandés par l’Internaute seront livrés dans un délai maximum de 30 jours à compter de la confirmation de commande et de son règlement. En cas de d'indisponibilité du produit, EUSAMEX s’engage à informer l’Internaute dans les meilleurs délais afin que l’Internaute puisse être remboursé sans délai et au plus tard dans les 14 jours du paiement des sommes qu'il a versées. En cas d'allongement prévisible du délai de livraison, EUSAMEX s'engage à en informer l’Internaute dès que possible et par tout moyen afin que celui-ci puisse alors choisir du maintien ou de l'annulation totale ou partielle de sa commande. La responsabilité de EUSAMEX ne saurait être mise en cause et tenue pour responsable des conséquences de tous événements échappant à sa volonté, notamment les cas de force majeure ou cas fortuits, qui tendraient à retarder ou empêcher la livraison du produit commandé. En cas de non-respect du délai mentionné majoré de 7 jours, l’Internaute peut annuler sa commande par l'envoi d'une lettre recommandée avec accusé de réception à l'adresse du siège social indiquée en tête des présentes conditions générales. L'annulation ne sera prise en compte par EUSAMEX que si l'expédition ou la livraison n’est pas intervenue entre l'envoi et la réception de ladite lettre. L’Internaute sera remboursé au plus tard dans un délai de 14 jours suivant la réception de la lettre recommandée par EUSAMEX. EUSAMEX se réserve le choix du transporteur et garantit le bon acheminement des produits. ATTENTION : si un colis est retourné à l'expéditeur pour non réclamation ou mauvaise adresse de livraison fournie par l'Internaute, EUSAMEX se réserve le droit de facturer à nouveau les frais de réexpédition à l'Internaute. Dans cette hypothèse, si le colis est de nouveau renvoyé à l’expéditeur, il ne sera plus renvoyé à l’Internaute et le montant correspondant à cette commande, y compris les frais de livraison supplémentaires éventuels, restera acquis à EUSAMEX. EUSAMEX garantit la conformité du produit livré aux caractéristiques essentielles décrites sur le site www.imagesdorient.net et ce pour un usage conforme à sa destination. Le choix du transporteur appartient à EUSAMEX. Les frais de transport sont communiqués avant la confirmation de la commande. EUSAMEX n’est pas responsable des taxes et frais de services supplémentaires pratiqués par certains pays. Les clients seront tenus responsables d'éventuelles restrictions, droits, taxes et autres frais perçus par le pays de destination, avant de passer commande. EUSAMEX ne sera pas responsable de tous droits, taxes ou frais de douane en toutes circonstances. Alors EUSAMEX se réserve le droit d'abandonner le dit-colis et ne sera pas responsable de tout remboursement. EUSAMEX est tenu de respecter la garantie légale des vices cachés, au sens de l’article 1641 du Code Civil qui dispose : « le vendeur est tenu de la garantie à raison des défauts cachés de la chose qui la rendent impropre à l’usage duquel on la destine, ou qui diminuent tellement cet usage, que l’acheteur ne l’aurait pas acquise, ou n’en aurait donné qu’un moindre prix, s’il les avait connus ». Dans tous les cas EUSAMEX ne pourra être tenue pour responsable de la mauvaise utilisation du produit par l’Internaute, de l’usure normale du produit, d’un défaut d’entretien. La plupart de nos produits sont fait à la main, certaines variances au niveau des couleurs ou tailles peuvent survenir et ne doivent en aucun cas être considérés comme des défauts. Cependant, en cas de non-conformité du produit livré, l’Internaute devra en informer le Service Clients de EUSAMEX par e-mail en inscrivant de manière claire la non-conformité constatée. EUSAMEX s'engage, au regard de la demande de l’Internaute, à échanger ou à rembourser le produit à l’Internaute, sous réserve qu'il soit retourné dans son emballage d'origine. En cas de différence de coût manifeste entre les 2 options, EUSAMEX optera pour la solution la moins chère. Lors d'un retour pour cause de défaut, EUSAMEX rembourse les frais de port sur présentation des justificatifs correspondants et en tout état de cause selon les tarifs en vigueur. Le remboursement se fait au prorata du prix du produit sur la totalité de la commande. Sous réserve que l’Internaute y consente, EUSAMEX pourra lui proposer un avoir en lieu et place de l’échange ou du remboursement. Si l’Internaute use de ce droit de rétractation, le retour du produit doit s'effectuer dans son emballage d'origine, dans un état correct c’est-à-dire sans manipulation excessive (absence de détérioration significative de l’emballage), au plus tard dans les quatorze jours suivant la communication de sa décision de se rétracter et accompagné de l’indication de la facture à laquelle les produits se rapportent. En cas d’exercice du droit de rétractation, conformément au formulaire de rétractation joint en annexe 1, l’Internaute pourra demander le remboursement de sa commande, à l’exception des frais d’expédition et des frais de retour qu’il aura engagé. Si l’Internaute souhaite un échange, il est invité à repasser une commande directement sur le site et renvoyer l'article original pour que EUSAMEX procède à son remboursement, les délais de traitement étant plus rapides et les frais de réexpédition à la charge de l’Internaute dans tous les cas. Dès lors, EUSAMEX s’engage à rembourser l’Internaute dans un délai maximal de 14 jours à compter du retour effectif du produit, directement sur le moyen de paiement utilisé. Tout retour de produits doit faire l'objet d'une demande formulée par e-mail auprès de notre service clients à info@eusamex.com tel que précisé en tête des présentes. Les informations qui sont demandées, notamment à via les formulaires, sont nécessaires au traitement de la commande et seront communiquées au(x) prestataire(s) en charge de la réalisation de la commande notamment le transporteur et/ou toute autorité compétente pour le règlement d’un litige entre EUSAMEX et un Internaute. Elles pourront être utilisées également pour mieux connaître l’Internaute et adapter l’offre EUSAMEX aux besoins de l’Internaute. Conformément à la loi n°78-17 du 6 janvier 1978 relative à l'informatique, aux fichiers et aux libertés, le traitement des informations nominatives collectées sur le site web à fait l'objet d'une déclaration récépissé n°1859494 v 0 auprès de la Commission Nationale de l'Informatique et des Libertés. L'internaute dispose d'un droit d'accès, de modification, de rectification et de suppression des données le concernant. Pour exercer ce droit, l'internaute devra envoyer un e-mail au service clients de EUSAMEX à l'adresse mail ou postale indiquée en tête des présentes conditions générales. Les éléments appartenant à EUSAMEX, tels que le site web, les marques, les jeux, les dessins, les modèles, les images, clips sonores et vidéos, les textes, les photos, logo, charte graphique, sans que cette liste ne soit exhaustive, sont la propriété exclusive de EUSAMEX. Les présentes conditions générales n'emportent aucune cession d'aucune sorte de droits de propriété intellectuelle sur les éléments appartenant à EUSAMEX au bénéfice de l’Internaute. EUSAMEX vous concède un droit d'accès au site à titre non exclusif, personnel, non transmissible et pour une utilisation qui soit conforme aux conditions définies au sein des présentes. Toute autre utilisation est constitutive de contrefaçon et sanctionnée pénalement au titre de la Propriété Intellectuelle. L’internaute s’interdit de porter atteinte, directement ou indirectement, au droit de propriété de EUSAMEX et s’interdit d'exploiter de quelque manière que ce soit, les noms, les marques, les logos. L’internaute s’engage à respecter l'intégralité des droits de EUSAMEX et s’interdit de susciter toute analogie dans l'esprit du public à quelque fin que ce soit. Des liaisons du type hypertextes vers la page d’accueil du site www.imagesdorient.net ou tout autre page doivent faire systématiquement l’objet d’une demande d’autorisation et devront être retirées sur simple demande de EUSAMEX. EUSAMEX ne saurait être tenue pour responsable de l'inexécution de ses obligations due à un cas fortuit et/ou cas de force majeure au sens généralement accepté par la loi et les tribunaux français ou pour des causes échappant à son contrôle. En tout état de cause la responsabilité de EUSAMEX est limitée au prix du produit vendu sauf disposition légale impérative contraire. Par ailleurs, EUSAMEX ne peut être tenue responsable dans la mesure permise par la réglementation en vigueur des dommages directs notamment immatériels ou indirects qui pourraient résulter de l'accès au site ou d’une utilisation inappropriée des produits au sens de l’article « usage des produits » notamment lorsque ces produits contiennent des restrictions d’usage. Il est rappelé également que les liens hypertextes placés sur www.imagesdorient.net peuvent renvoyer vers d'autres sites dont les contenus restent sous la seule responsabilité des exploitants et titulaires de ces sites. L'exécution par EUSAMEX de tout ou partie de ses obligations sera suspendue en cas de survenance d'un cas fortuit ou de force majeure qui en gênerait ou en retarderait l'exécution. Les présentes conditions s'appliquent pendant toute la durée de mise en ligne des services offerts par EUSAMEX. Les registres informatisés, conservés sur les serveurs de EUSAMEX ou sur ceux de ses hébergeurs, seront considérés, sauf preuve contraire comme les preuves des communications, des commandes et des paiements intervenus entre les parties. En aucun cas, EUSAMEX ne donne de garantie de conformité à la législation locale qui serait applicable dès lors qu’un Internaute accède au site à partir d’un autre pays. En cas de contestation, le litige sera, à défaut d'accord amiable, de la compétence exclusive du tribunal français compétent pour un différend opposant EUSAMEX à un non professionnel et du Tribunal de Commerce de Paris pour un litige avec un professionnel. Je soussigné, Monsieur/Madame/Mademoiselle [à renseigner], vous informe user de mon droit de rétractation au titre de la commande n° … passée sur votre site internet. Je vous demande à ce titre de bien vouloir procéder au remboursement des sommes versées à l'occasion de cette commande, exceptés les frais d'expédition et les frais de retour engagés, dans un délai maximal de 14 jours après le retour effectif dudit produit commandé. Les présentes conditions générales d’utilisation s’appliquent à votre première visite du site www.imagesdorient.net dénommé ci-après site Web et vous sont opposables pendant toute la durée d'utilisation dudit site Web. Le site Web a pour objet de présenter et vendre en ligne des accessoires de table et de maison. Des liaisons du type hypertexte vers la page d’accueil du site www.imagesdorient.net ou toute autre page doivent faire systématiquement l’objet d’une demande d’autorisation et devront être retirées sur simple demande de EUSAMEX. Les données collectées sont destinées à l'usage de EUSAMEX pour permettre de gérer la relation commerciale et contractuelle avec l’Internaute et l’informer, le cas échéant, des offres et actualités. L’internaute peut recevoir, s’il y a consenti expressément, des prospections électroniques émanant de EUSAMEX et de ses partenaires. EUSAMEX (ci-après dénommée «EUSAMEX») communique aux internautes, à travers cette politique, qu’il peut utiliser des cookies lorsque l’internaute navigue sur les différentes interfaces et pages du site www.imagesdorient.net (le «Site Web») ainsi que lors du processus d’enregistrement, le téléchargement et la mise à jour de celui-ci. Lorsque vous vous connectez à notre site www.imagesdorient.net, nous pouvons être amenés, sous réserve de vos choix, à installer divers cookies dans votre terminal nous permettant de reconnaître le navigateur de votre terminal pendant la durée de validité du cookie concerné. Les Cookies que nous émettons sont utilisés aux fins décrites ci-dessous, sous réserve de vos choix, qui résultent des paramètres de votre logiciel de navigation, utilisé lors de votre visite de notre site.